Industrial designer David Smith founded Precor (originally named Precision Corporation) in 1980. Its first product was the first ergonomically sound rowing machine, the Amerec 610, used for World Cup training by the U.S. Ski Team. By 1985 it developed a full line of ergonomic rowers, treadmills and cycles. Its products have consistently won awards for Best Product and for Excellence in Customer Satisfaction. In 2002 Precor became a subsidiary of the world’s largest sports equipment company, Amer Sports Corporation. Affordability: Precor’s treadmill prices are in the middle range, often running longer and more smoothly than more expensive brands. Warranties: New Precor treadmills generally have a lifetime warranty for the frame and a ten-year warranty for all mechanical and electronic parts, rather than one. For many treadmill models the deck is reversible, doubling the treadmill’s life. Customer Service: Repair requests are handled efficiently, quickly, and courteously, generally within 24 hours. 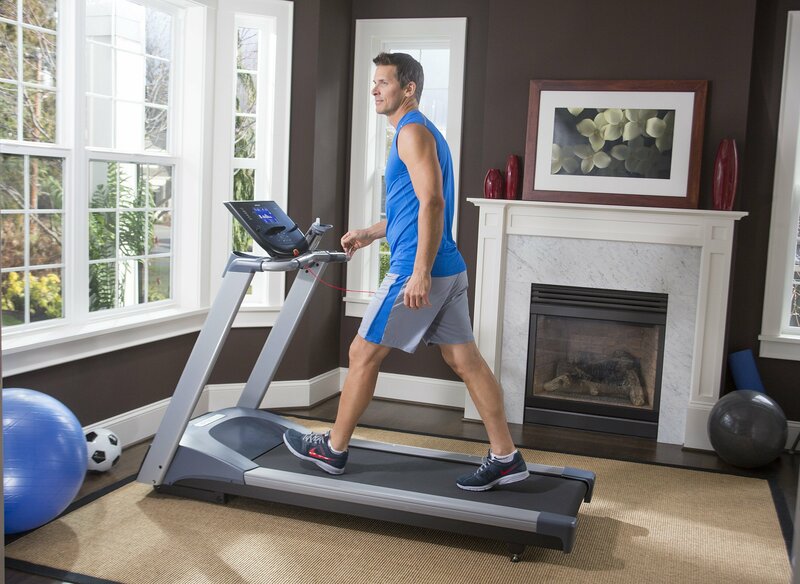 Precor delivers treadmills inside the home rather than curbside, minimizing customer transport effort. Comfort: Precor was the first company to produce a cushioned and ergonomically sound treadmill, with effective shock absorbers. This feature is one of the most frequently noted by customers. Simplicity: Precor treadmills are easy to assemble and use, without extra confusing features or frills. Weight: Precor treadmills are extremely heavy, often needing 2-3 people to move it. Delivery inside the home rather than outside makes this less of an issue, but it’s still often noted. Malfunctioning: Some customers reported that their treadmill failed to start or stopped functioning almost immediately on first use, but Precor Customer Service was invariably prompt and helpful.